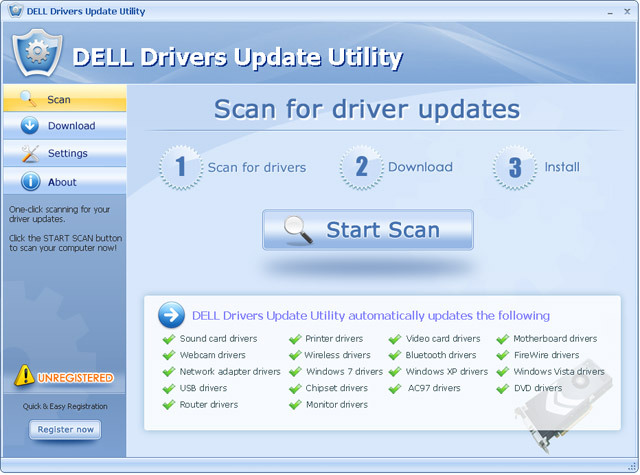 DELL Drivers Update Utility updates your system drivers for DELL Laptops automatically with just several clicks. It will scan your system first then download and install DELL official drivers to let your DELL Laptop work properly. The DELL Driver Update Utility keeps your DELL laptop Windows system up-to-date. It detects which driver updates are relevant to your computer, and then helps you install them quickly and easily. Update your Realtek Laptop drivers automatically.